-A hay rake picks the hay up off of the ground and puts it in a windrow. A windrow is where the hay is piled up in rows throught the field. - If the timing is wrong when the operator rakes the hay it could amke or break the hay crop. If the hay is to wet when raked it will not dry when raked into windrows. If the hay is to dry it will cause the hay to loose its leaves when knocked around by the rake. The hay leaves are the most valuable part of the hay crop. 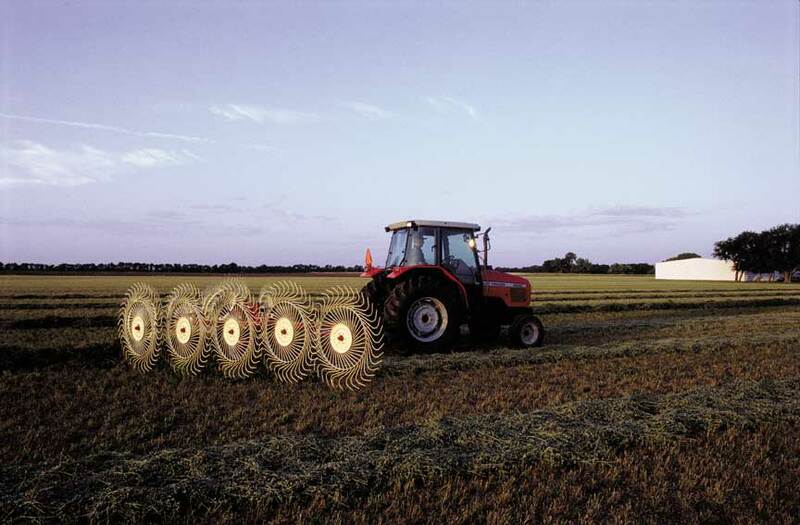 - Raking time is also valuable part of raking hay because soon after raking the hay will be baled. - Some types of rakes include rolabar rakes, wheel rakes, and rotary rakes. All of which have there strong and weak points. Rollabar rakes are small but resonable in price. 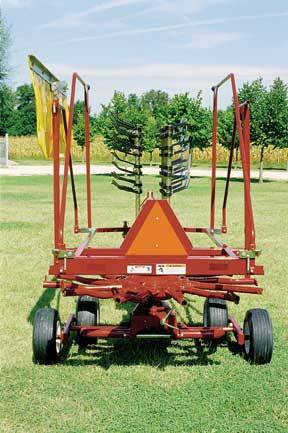 Wheel rakes can be adjusted to the desired size and are moderate in price. Rotary rakes are very fast and efficient but are very high in price.